Michael Krauser of Ipswich maneuvered his way out of his slip at Tuck’s Point in Manchester-by-the-Sea on Friday. MANCHESTER-BY-THE-SEA — The story of the town that won’t say its name, and isn’t entirely sure how to write it, begins 25 years ago in the town formerly known as Manchester. At the 1989 Town Meeting, local resident Ed Corley delivered an impassioned speech, arguing that the name Manchester was not enough to capture the “uniqueness” of the community, and proposed expanding it to Manchester-by-the-Sea. The proposal passed. By two votes. And this small town on Cape Ann — best known as the home of Singing Beach — has been living uneasily with this uniqueness ever since. The added suffix is so often scorned and ridiculed by the outside world for its perceived snootiness that many locals simply refuse to say it. “Manchester-by-the-Sea” was actually an old nickname for the town, coined by society types who arrived in the late 1800s and early 1900s, built mansions along the coast and used “summer” as a verb. Even then, it was jeered. A sign spelled without hyphens is seen at the other end of Route 127. When Corley proposed making the name official, he offered a number of reasons, including the fact that the town was so often confused with Manchester, N.H., that police had printed maps to direct lost motorists from one to the other. Corley’s proposal divided the town. After passing at Town Meeting, the Legislature ordered that it be placed on the ballot at the next town election, and it passed by another slim margin, 51 percent to 49 percent. 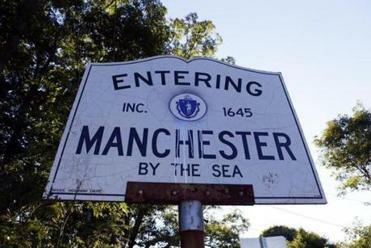 The overwhelming majority of residents simply say they simply live in “Manchester,” like Jeremy McElwain, a local realtor who described the full name as “pretentious, too wordy, almost silly.” But, he said, there are two problems with saying “Manchester.” One is that a lot of people think Manchester and Manchester-by-the-Sea are two different places. The other is that you’re setting yourself up for contempt from those who know they aren’t. This happens via a ritual that everyone in the “Manchester” camp has been through many times. “Where do you live?” the ritual begins. At this point, the resident will offer some other descriptive – “North Shore” or “Cape Ann” or “Near Gloucester.” Anything that will save them from the words coming out of their mouth. When Faxon mocked the name during an appearance on the Conan O’Brien show a few years ago, O’Brien, a Brookline native, joked that it sounds like it should be said with harp music. But on this, the 25th anniversary of the name change, there is concern in town that the biggest whack is about to come, courtesy of Hollywood. It was recently announced that Matt Damon will star in a film entitled “Manchester-by-the-Sea” where, according to the Hollywood Reporter, he will play a “ne’er-do-well” Boston plumber who must return home to Manchester-by-the-Sea to care for his teenage nephew after his brother passes away. The worry around town is that the movie will only further the idea that everyone here is snooty. This, residents say, is simply not true. Corley, who is now deceased, often pointed out that he was living on Social Security in elderly housing. But beyond the image issues, there are practical problems with the name, which is the longest, and most hyphenated, in the state. Because of its length, highway signs and most maps simply list it as Manchester. Town Clerk Denise Samolchuk admits to being tired of having to repeatedly type it out. “Our biggest problem is that we can’t find software that will accommodate a name that long, so we still have to use a typewriter for things like marriage licenses,” she said. With so much baggage attached to the name, it may be no real surprise that there is not much agreement on whether, or how, to use it. She believes it should be written “Manchester by-the-Sea,” with no hyphen between the first two words, which is how Corley himself wrote it. The town’s police cars and the commuter rail station and the local bookshop — “Manchester by the Book” — spell it with no hyphens at all. Even the official state signs at the town’s borders are in disagreement. Coming from Beverly, each word is hyphenated. From Gloucester, none are. 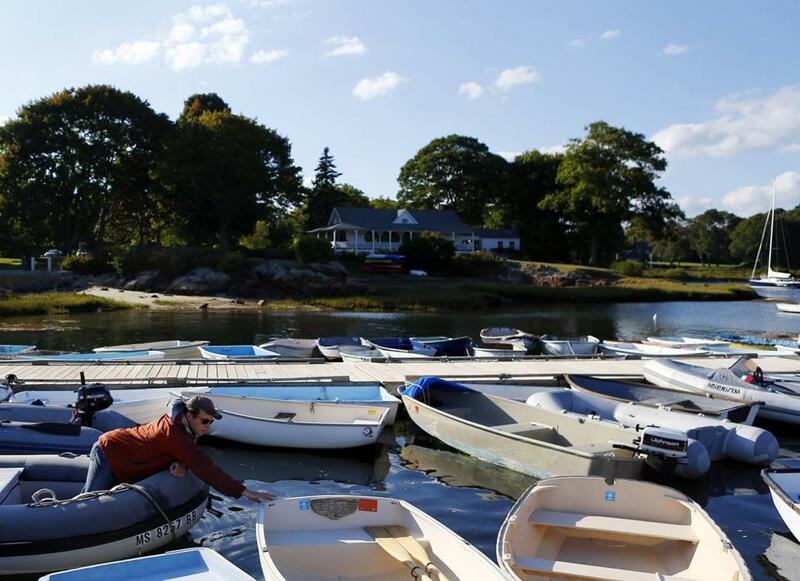 In truth, it’s hard to find many people in this town of 6,000 residents who will admit to being pro- “by-the-Sea.” Suzanne Wilczek is one of them. She’s 68, descended from one of the 10 families that founded the town in the 1600s, and happily voted for the name change. Just prior to the vote, she had ordered a refrigerator from a Sears two towns over, and it was delivered to Manchester, N.H.. So when asked where she lives, does she actually say “Manchester-by-the-Sea”? 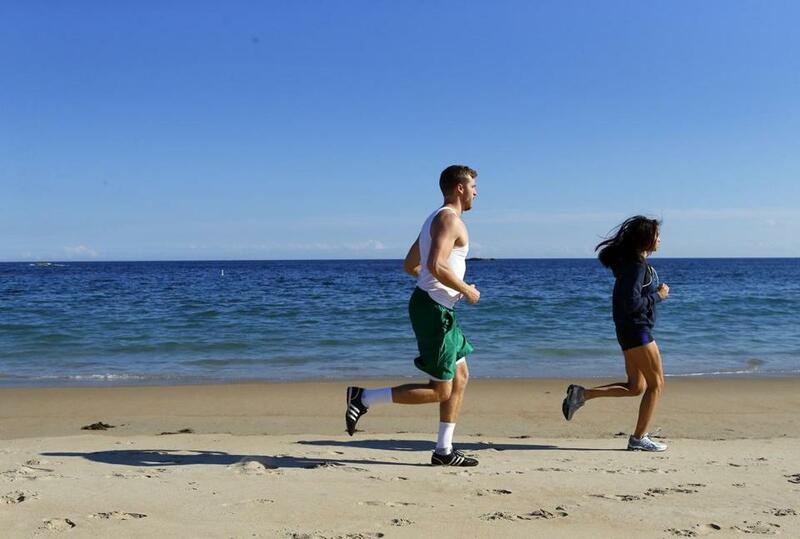 People run along Singing Beach in Manchester-by-the-sea.